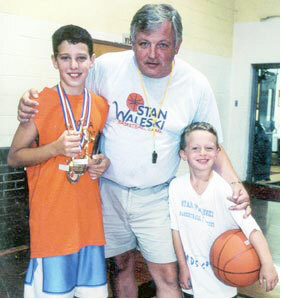 The Stan Waleski Basketball Camp is a fundamental play camp where players are constantly instructed in the basics of basketball. Players are grouped according to age and grade within each camp and are never overmatched during instruction, team play or competitions. Awards are presented within each grouping and all campers receive T-Shirts and Participation Certificates.